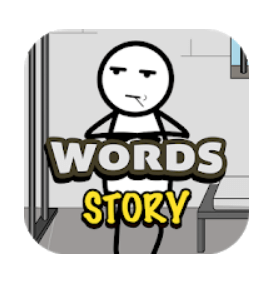 Words Story is a new word game concept with cool design, really amazing and attractive android and ios ( for iphone and ipad ) word game developed by Great Puzzles Games , a good puzzle for all word gamers. In this dedicated topic, we will help this innocent man regain his freedom, we have to discover the hidden words and jump the game levels to complete the game. We have finished this game and complete all levels , the game answers are complete including the last update, any news will be posted here. Do you ever escape the prison? Yes, in the initial release, there was only 500 levels. 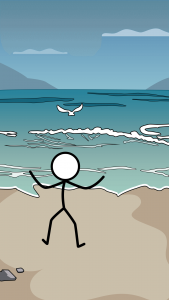 When I finished them, i saw the animation ( look at the pictures in this topic ). I think something messed up with my game, around day 200 he escaped like suddenly. Thought it would take longer. does anything happen after the 200th day ? Im on day 437 but he seems to have stop doing anything since he got the map is there something wrong with it? Try to clear the game cache. Does he ever get past the guards in the daily challenge or get a word other than suit?